Mastering the Art of Long Range Shooting by Wayne van Zwoll is a complete guide for long distance shooting, and is perfect for the rifle enthusiast interested in hunting and competitive shooting. Mastering the Art of Long Range Shooting by Wayne van Zwoll is a complete guide for long distance shooting, and is perfect for the rifle enthusiast interested in hunting and competitive shooting. Dive into the history of snipers from the Civil War era to present, then explore how to choose the correct hardware for varying conditions. Learn what to expect from the right ammo and bullets for target, military and hunting rifles. This helpful guide is packed with helpful tables on long-range loads for centerfires, a how-to section on expert military and competitive shooting techniques, an assessment of special sights (irons and optics), an analysis of the equipment that does not help accuracy over distance, and much more. With this book you can tackle the shots you always wanted to with confidence and ease, and improve your accuracy in no time! 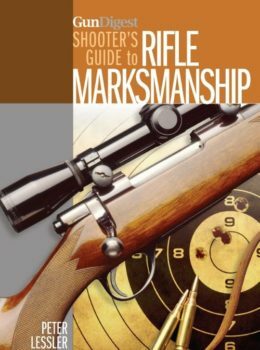 Award-winning author Wayne van Zwoll is the author of hundreds of magazine articles and 15 books, including The Complete Book of the .22, our own Gun Digest’s Shooter’s Guide to Rifles and Bolt Action Rifles. 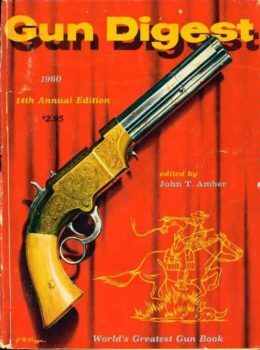 He is a regular contributor to the annual Gun Digest volume and a winner of that book’s John T. Amber award for writing excellence.